Sightings of network improvements are are coming thick and fast. Of particular interest at the moment is the new VoLTE service, only launched officially in Seattle last month. 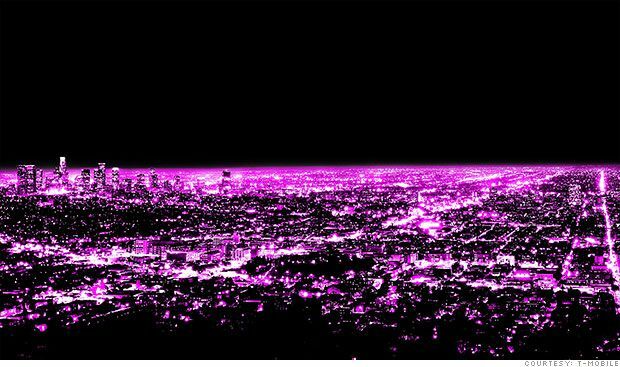 Earlier in the week, we had T-Mo customers contacting us from Dallas, TX and New York City having spotted the service going live too. Soon afterwards we were informed of the same in two more major cities. For those unsure, there’s one simple way to know whether or not VoLTE has gone live in your area. Firstly, if what you have in your hand isn’t a Galaxy Note 3, LG G Flex, or Galaxy Light, then you won’t be able to test. Those are the only devices so far to get the software update required to enable the function. Secondly, if you’re in an area with LTE and you make a call, and you’re signal status icon still shows the “4G LTE” label, you’re using VoLTE. In areas without VoLTE you’ll notice upon making a call that the signal drops from 4G/LTE down to 3G/HSPA or even EDGE/2G. Over the next few days we should be bringing your more news/evidence of T-Mobile’s ever expanding and improving network, providing we can get enough evidence together. Of particular interest are areas where only 2G/EDGE existed and now you have LTE. If you are in one of those areas, we’d love to see screenshots showing Speedtests before/after the LTE switch-on, and Sensorly mapping. It’s all good. Send it all to cam@tmonews.com. if you choose “4G LTE Only” or “LTE 1700” on samsung service mode (*#0011#) do you drop to HSPA+/4G? i set my Note II to 4G LTE only before and i don’t remember it dropping to HSPA+/4G when i’m on a call. If you set it to LTE only you would not be able to get voice calls. Only data would work. But in the VoLTE areas, that works, right? Confirmed working in Washington, DC/Northern VA as well. HD Voice isn’t new, your phone saying it’s on LTE while you are in the middle of a call is VoLTE. 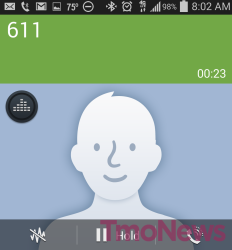 Note 3 doesn’t display HD voice while on call, even after last carrier update. So it must show HD logo only while on VoLte. Yes, I’ve also seen random “HD Voice” icons within the Phone and Messaging app over the past couple of months: and wondered what it was i understand it has nothing to do with VoLTE but what is it and why is it random/intermittent??. I think they working on it in LA too,yesterday I was in east la and on my note 3 I had full bars lte I made a call put it on speaker and saw that it stood on Lte but it didnt ring at all it just said call connected with full bars lte but nada came tru,it has never done that before I hanged up because nothing was coming tru tried it again instantly but the second time it instantly dropped down to hspa and it started to ring. IT was weird it was first time I seen it do.that. That was just a glitch. It would be nice to get data period. So many times I have to force Edge to text or call. I don’t know what is going on in and around H-town lately. But I might have to switch carriers. UGH! Maybe they’re working on converting edge towers to LTE and a blessing is around the corner. If you have to do that there is an issue with your phone. Really My N4 and my wifes samsung 3-5 are bad too? I’m having problems with data too. I will be web browsing or playing a game that requires data and it just stops. I have to either shutdown the phone and restart or put it in airplane mode then back to get it to work again. This started with my Z1 and is now doing it on my Z2. At first I thought it might be because I’m using an international unlocked phone but my oldest daughter who lives in a different city has a Nexus 5 and has the same issue. It’s annoying. I think they are doing stuff in portland, or. I just checked on my gf’s iphone field test and noticed a bump in download from 10×10 to 15×15. I hope that means 4×2 MIMO and VoLTE are coming to the rose city soon! Sorry, meant to say bandwidth for download/upload increased to 15×15 in portland. your Nexus 5 is capable of any LTE feat a Note 3 is. If it’s set to 3G or 2G, you’ll never see LTE even though the phone is perfectly capable. Thats not what i meant, I meant that I dont think my phone is VOTLE capable. I presume VoLTE is the same as WiFi Calling. If so, can it, or how does it, hand off a call between a cell site when you’re on a VoLTE call and a cell site that isn’t LTE? Also, with VoLTE going live, will SRVCC finally work, to hand off IMS WiFi calls to a VoLTE capable tower? eSRVCC is what’s going to handle the handoff between PS and CS calls. So, found an article saying T-MO was “deploying” eSRVCC for VoLTE GSM calls. Where is eSRVCC being deployed to? And if it’s deployed, does that imply that an IMS WiFi Call could transfer to VoLTE or GSM call? It’s possible that WiFi Cell might work, but it’s up to the carrier to support that feature. Right, which is why I was asking. Originally, the move from UMA to IMS for WiFi calling (even though UMA worked seamlessly at the time) was that down that road, it was a better tech for when VoLTE arrived. 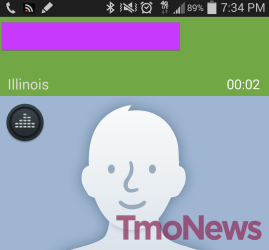 Now that VoLTE is here, I’m wondering if T-Mo will support voice call handoff between WiFi and Cell. Ask some of the official Tmo folks on Twitter. They should be able to answer your question. Or ask over at HowardForums.com (Tmo section). I haven’t tried the Wi-Fi calling in over a year. However, since I switched to android, Motorola Defy, there hasn’t been handoffs. They did work fairly well on the Blackberry’s tough. As of now I don’t believe that any device will handover between the cell network and WiFi on TMO, but with VoLTE coming that feature might be coming back. We’ll see though. VoLTE also working in Baltimore and Washington metro ares. I have the same issues except with my Note 3. You think Tmobile somehow had the update pulled? Makes me wonder. I had upgraded via Kies before VoLTE went live in Chicago on my Note 3. Wasn’t able to pull a OTA because I had already updated. It worked perfectly in Schaumburg and Downtown. This is BS. I have a Note 3 and of course Tmobile is being cheap updating it OTA, where if you want it earlier you must use KIES. So I try to use KIES and it doesn’t even say there is an update. What gives? I mean it says with KIES you should be notified if there is a firmware update but it didn’t. What am I doing wrong? I guess I will just have to wait and hope I can get an official OTA update. Make sure you are using Kies 3, not Kies for note 3. I had problems downloading too. First was the driver issue, then it was saying downloading but my phone got disconnected from computer. I had to reinstall drivers from Kies. Over the air update is only available in Seattle now. I did download KIES 3, also reinstalled drivers but still nothing. I even unplugged and re plugged the phone a few times. I finally was able to get the update for my Note 3 using KIES. Only downside is that Vegas doesn’t have VoLTE yet. Hopefully it goes live soon though because it’s a drag when your downloading something then the phone rings and you answer it. The connection seems to drag afterwards. Plus it seems to take a bit to jump back onto LTE. San Diego has VOLTE. Just updated today through Kies. It seems to have fixed all the bugs with the Note 3. The the Xperia Z c6606 feature the voLTE? ?